Purchase your flight ticket at the best price. Whether you are travelling to Malta to study or holiday, it’s always a good idea to shop around before buying your flight ticket. As a rule of thumb, if you start searching for your flight around 2 to 3 months ahead, you stand a better chance of finding a good deal. Low cost airlines such as Ryanair fly from several destinations and offer flights at very cheap prices especially if you time it well. You may come across some super sales from Ryanair with flights starting from just €9.99 for a flight. Sign up with airlines to receive their newsletters and special offers as they sometimes run for a limited time. Malta’s only airport is called Malta International Airport and is located in Luqa. Some Other Airlines flying to Malta. Use a Comparison search engine such as skyscanner to find the best deals around. Special discounts on flights for Students. Students who come to Malta to study should be aware of the special deals available to them. As Malta is an English speaking country many students opt to study in Malta either on an Erasmus exchange for one semester or an academic year and some also opt to study at the University of Malta as a full time student. English is the language of instruction at the University of Malta. It is also a popular destination with students on a Medical elective with students from as far away as Australia and New Zealand completing their electives in Malta. AirMalta offers University or College students travelling to study an extra allowance of 20Kg of luggage for free. You will need to submit your student card and give the details of the course you are studying including start and end date as proof that you are travelling to study. Erasmus students as well as students on a Medical elective are eligible for the free luggage allowance on AirMalta flights. 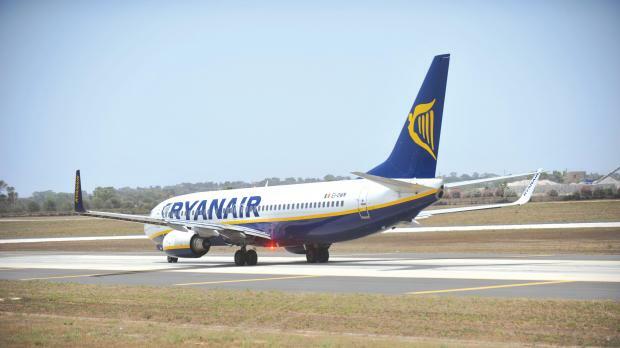 Ryanair has recently partnered with the Erasmus student Network and offers card holders free check-in of a 15Kg luggage as well as a discount of 15% on up to 8 flights per academic year. Students need to be in possession of an Erasmus student Network card to be able to take advantage of these offers. Students on a mobility programme or past international interns are eligible to apply for an Erasmus student card. You will need to apply for this card in your home country and is valid for 12 months. With this card you will be able to benefit from thousands of discounts on food, accommodation, flights, car hire, gym memberships, language courses and many other services all over Europe. For those planning to stay in Malta for a long stay it’s worth applying for a tal-linja card to get the best rates on bus fares. We look forward to welcome you in our student accommodation in Malta soon!